Jimmy Andrews deserves credit for the success he enjoyed during his time as manager. (The 25 years that followed proved bleaker, with long years in the old third and fourth divisions.) He showed he was ready to take a gamble, signing Robin Friday, one of the most exotic players to wear City’s (old) colours. I saw Friday on his debut on 1 January 1977 against Fulham. I went mainly to see George Best, who was then playing for Fulham. (I should have known that Best would never have turned up on New Year’s day…) But I saw Friday score two against Bobby Moore’s team. 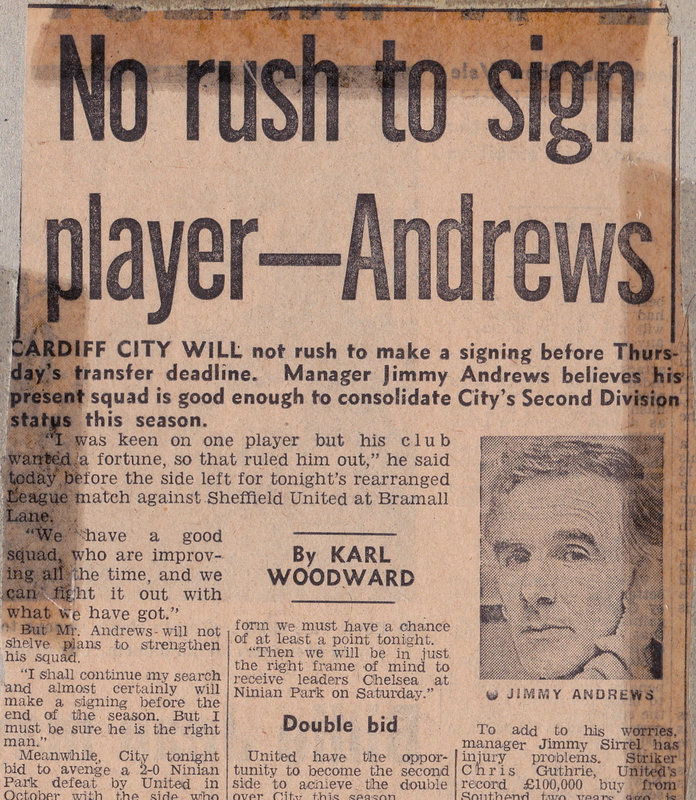 Friday soon proved too wild for Andrews to tame – as he may have suspected when his new player was arrested on his way to sign for Cardiff for travelling using a platform ticket. I didn’t realise back then that Jimmy Andrews was a former West Ham player. Until his death this month he was the oldest surviving former Hammer. 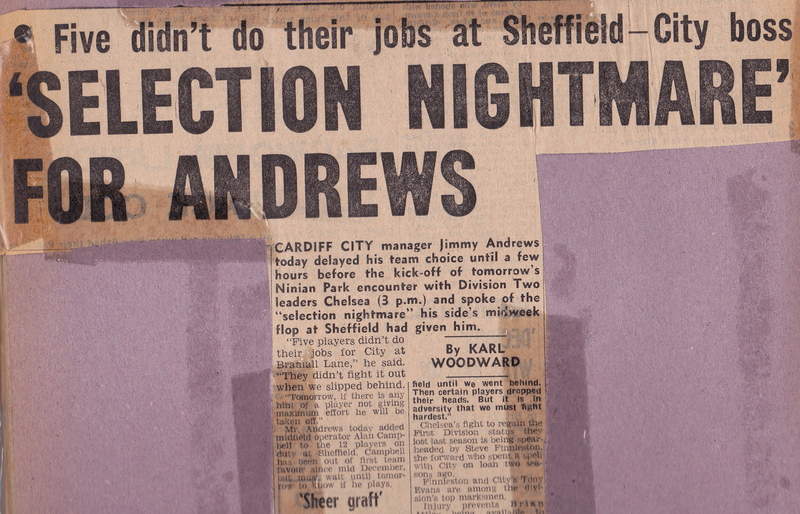 PS: the cutting below refers to a league game with Chelsea, then in the old second division. Not easy times for the future European champions! This entry was posted in Cardiff, Sport and tagged Cardiff City, Jimmy Andrews, Robin Friday, West Ham by Rob Skinner. Bookmark the permalink.